Given the increased problems and costs associated with pesticides, no modern greenhouse should be without the proper insect barrier. Insect Screens, correctly installed, prevent insect penetration, yet provide maximum possible air flow, essential for optimal crop yields. Regardless of the cooling and ventilating system that you use, you need to consider insect screen. Screening intake vents will produce dramatic results, but all greenhouse openings, including service doors (which should incorporate double screened doors), should be screened for best results . Insect Screen excludes White fly, Aphids, Leaf miners and up to 80% of Western Flower Thrips in field applications. Several years of laboratory and field testing have resulted in a patented screen structure that maximizes air circulation, while keeping pests out. Special equipment has been developed to ensure hole size accuracy, and a 0.24 mm diameter yarn is used, which is 45% stronger with greater UV resistance, compared to 0.20 mm diameter standard yarns. For protection against fruit flies (Mediterranean fruit fly, fig fruit fly, olive fruit fly), grape moth, Prudenia and Pomegrante fruit butterfly in orchards and vineyards. This net provides protection against climatic conditions such as hail, wind, and solar radiation excess, thus optimizing yield and fruit quality. The net is made of very strong monofilaments that are manufactured with special UV-resistant materials, giving the net durability and longevity. It has strong tucked edges , and is flexible, light, and easy to spread. The net is recyclable and environmentally friendly, and available in different widths upon request. 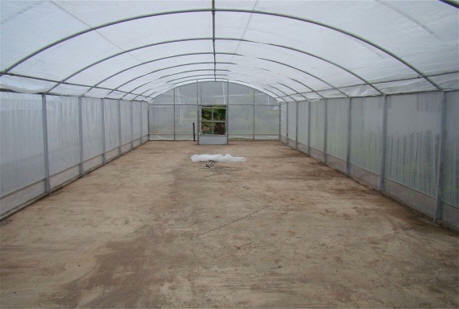 To be used in cultivation of flowers and vegetables in shadehouses and nurseries. The net is made of monofilaments that are manufactured with special UV-resistant materials, giving the net durability and longevity. It has strong tucked selvedges, and is flexible, light, and easy to spread. Other widths are available upon request.The net is recyclable and environment friendly. Blocks penetration of insects and protects against pests, such as tobacco Whitefly (Bemisia-tabaci), Leaf miner, Aphids and Thrips. To be used in cultivation of flowers and vegetables in shade houses and nurseries The net is made of monofilaments that are manufactured with special UV-resistant materials, giving the net durability and longevity. it has strong tucked selvedges, and is flexible, light, and easy to spread. Other widths are available upon request.The net is recyclable and environment friendly. For blocking whiteflies, aphids, leaf miners and other tiny insects entrance into the crop environment; widely used in vegetables, herbs, flowers and nurseries that require reduction of solar radiation. The net is made of very strong monofilaments that are manufactured with special UV-resistant materials, giving the net durability and longevity. It has strong tucked edges , and is flexible, light, and easy to spread. The net is recyclable and environmentally friendly, and available in different widths upon request. Clip-On Grommets: $.25 each Clip-On grommets that can be used on the cloth whether it is taped on the edges or not. Standard Width:43, 63, 78, 118, 141"